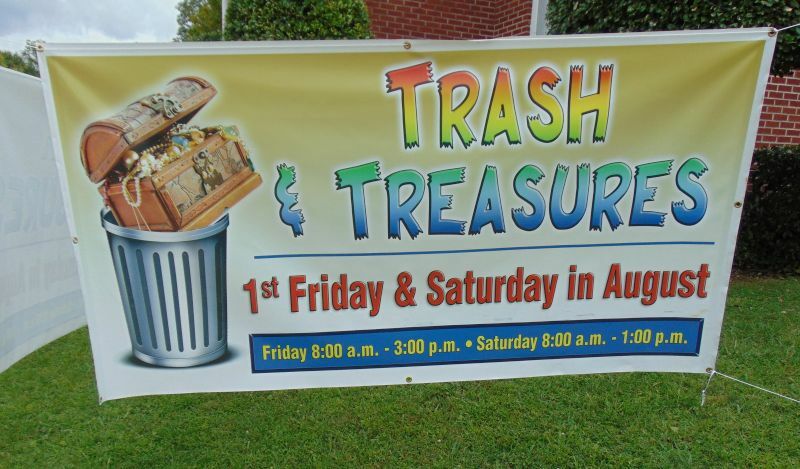 We are working at the church nearly every day now, getting ready for the trash and treasure sale on August 3 and 4. We are so grateful for all the STUFF we have, thank you for everything you’ve brought in. IF you have anything else to bring in, please do so this week. Next week we will be pricing and it’s difficult to stop what we’re doing and unpack more boxes or bags that are brought in at the last minute.